So far, public testing is only open to the users in Shanghai and Guandong. The players from other regions have the option of registering to be notified when the service becomes available in their countries. The idea behind the Tencent initiative stems from the popular concern that, given the existing hardware limitations, the quality of streaming will be uneven in quality and price from region to region. To adequately experience cloud gaming, player will be better off relying on the domestic infrastructure. Moreover, this undertaking enjoys the full support of Unity Technologies. Its CEO John Riccitiello stated at GDC that his company would help Tencent develop cloud services in China. 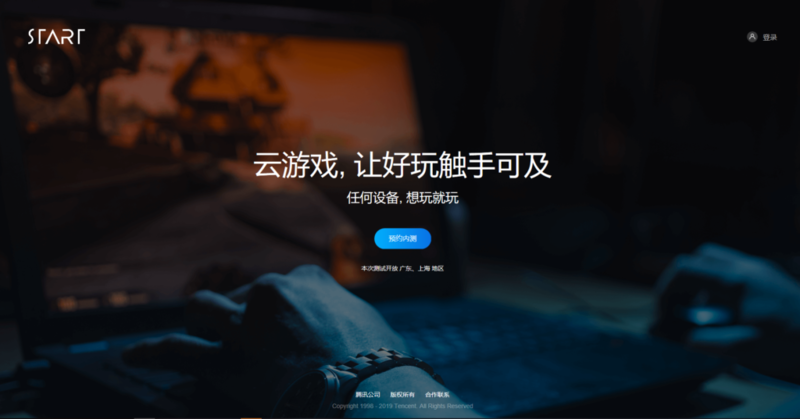 And again, contrary to its name, “Start” is not even Tencent’s first take on cloud gaming. In February the company announced at Mobile World Congress 2019 that it would be partnering with intel to launch “Instant Play,” another cloud-based gaming service. It seems that the message “The future of gaming is not a box” really resonated with the global market players. As the cloud gaming train is beginning to gain speed, more and more companies will want to jump on board.